Opendoor Homes is delighted to announce the practical completion of its development site at Elmshurst Crescent. This proud moment marks the handover of the first Opendoor homes, as we continue on our journey to build 320 homes across the borough of Barnet. New tenants will be moving into the new flats in the very near future. “These 13 homes are the first of many which Opendoor Homes will deliver over the coming years. We hope this is just the first step in a journey to build what we hope is many more homes over the coming years. 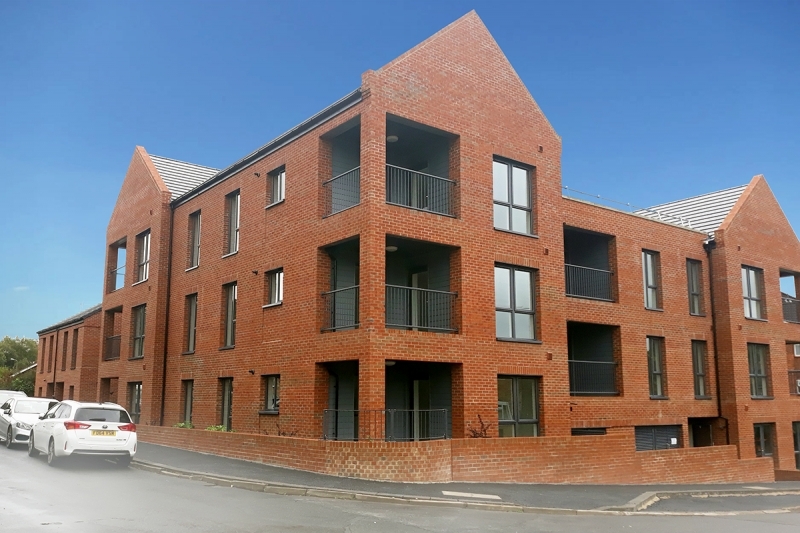 The development at Elmshurst Crescent, which will now be officially known as Gordon Court was built on the site of underused garages, and comprises of 11 flats and two 2-bed houses. All units meet or exceed London Plan Internal Standards, and the work on site has provided additional car parking and spaces for residents’ bicycles.